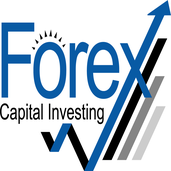 About me Forex signals, analysis & fund management. We can see a nice pinbar at the channel support, formed with MACD hidden divergence. Just watching the price.. every time same action.. The only pair that we trade it intraday is EURCHF. The only pair that we trade it intraday is EURCHF. We use: - support / resistance - rsi 7 close - macd 4c - looking for hidden divergence - channels - trend lines - fibonacci retracements - pinbar / doji / buob / beob - economic calendar - rn / vbrn /brn We focus only on one pair for intraday strategy. Minimal risk reward 1:1. We just want to share, our latest trade. Naked forex technical analysis. Just follow the trend. We just want to share our long term view about EURUSD. We show some key levels. This is how naked forex technical analysis looks like with no indicators etc. Just follow the trend. LH - Lower High LL - Lowe Low Have a good trading week !